This week on The Bugcast: we try and joke that this is the last podcast you’ll get on this feed and that you’ll have to resubscribe to continue receiving episodes (not true! ), and we play 8 amazing tracks of Creative Commons music from The Bourgeois, Bert Jerred, Mark Bodino, Altreize, Franky Barbano, David Wilson, Dreamer’s Invention, and Forget The Whale. 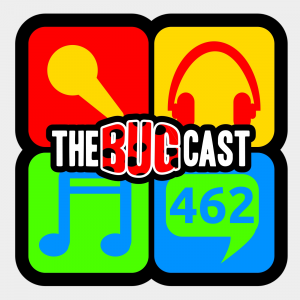 This week on The Bugcast: Verified profiles, Potterballs, cruelty to trains, and 8 amazing tracks of Creative Commons and independent music from Forget The Whale, In Isolation, Ladell, We Were Cheerleaders, Ubik’s Child, Fallen Child, Gum, and Axel Antunes.